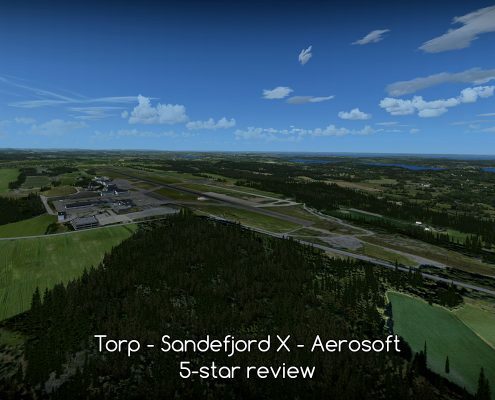 My choice of add-ons for Flight Simulator X and Prepar3d. 2017. 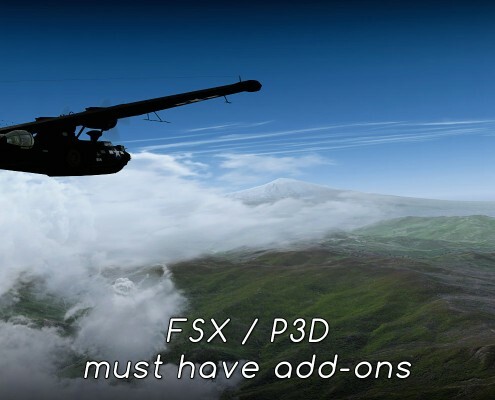 "What add-ons should I buy to make my FSX look like yours?" 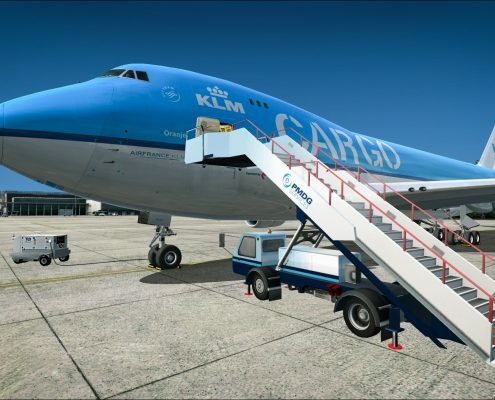 If you are new to Flight Simulator or Prepar3d - take a look at my "must have" list of add-ons. 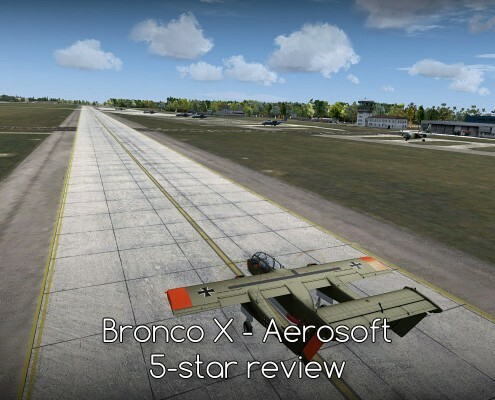 Bronco pushes the limits set by FSX creators. This is why it deserves special attention. I enjoy it a lot. Few minor issues had kept me from giving it the sixth star, but it more than deserves the five. 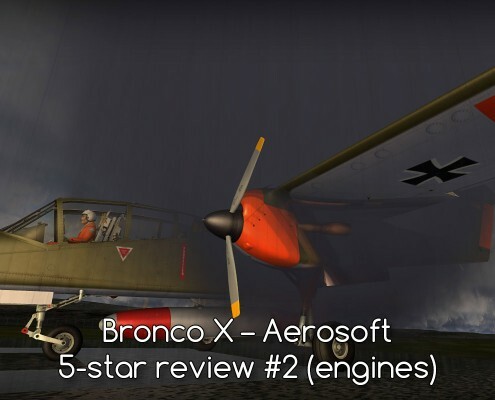 Engines of the Aerosoft's Bronco are among the best turboprops in FSX and P3D. Why? Let's start with correct torque, temperature and engine limitations. And failures. Not enough? Try performing startup and shutdown procedures exactly by the book. 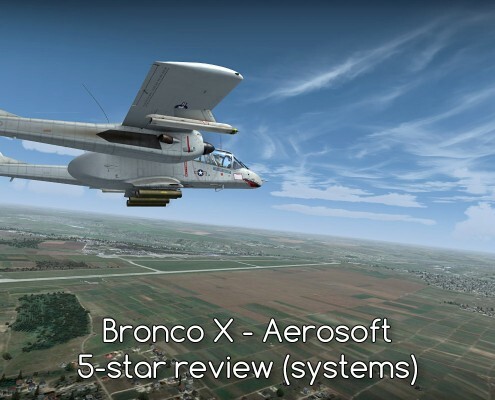 OV-10 Bronco from Aerosoft. 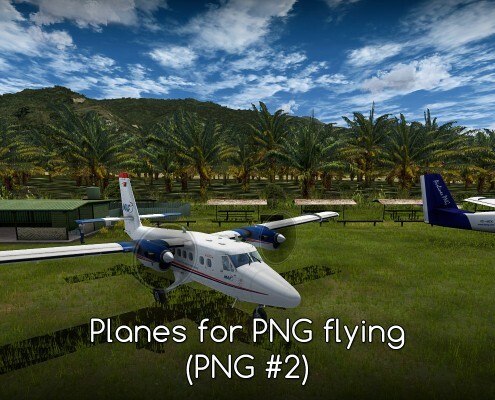 Another great warplane from this developer. 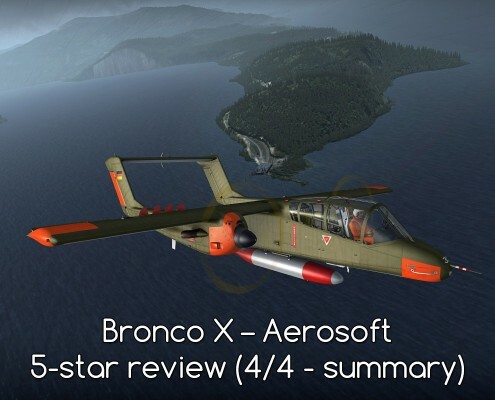 What I like in Bronco? Its engines, systems and beautiful model. This strange plane comes with my strong recommendation. 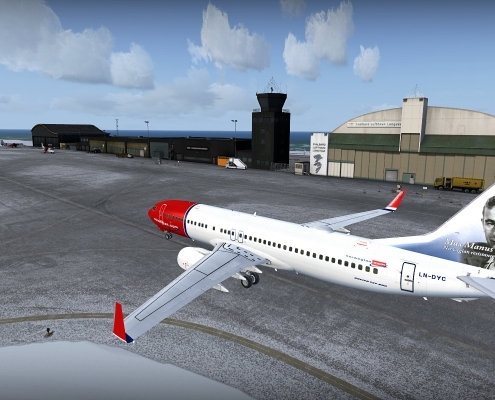 Preview screenshots of Aerosoft's Værøy X airport in Norway. 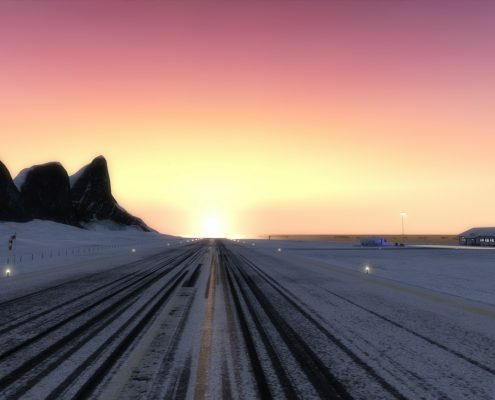 Lofoten islands are the perfect place to watch Aurora Borealis and this scenery includes the Aurora. 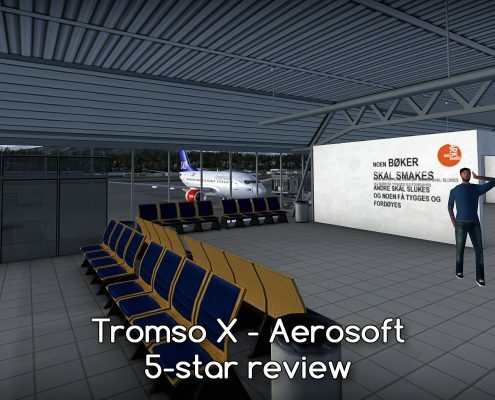 Aerosoft's Berlin-Tegel X is released! 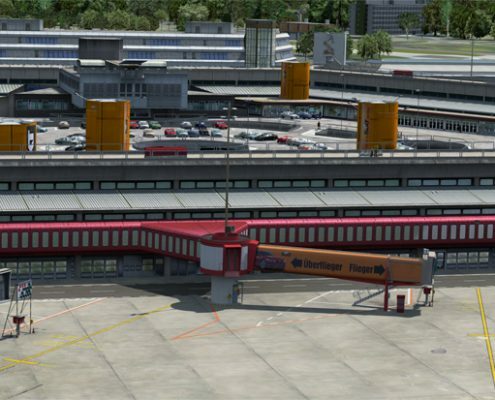 Aerosoft released Berlin-Tegel (EDDT, TXL) airport for FSX and P3D. Check out its features and promo video. http://c-aviation.net/wp-content/uploads/2016/04/berlin-tegel-x-14.jpg 413 1000 Wojciech Przybylski http://c-aviation.net/wp-content/uploads/2015/08/CalypteAviation.png Wojciech Przybylski2016-04-29 11:39:022016-04-29 11:39:02Aerosoft's Berlin-Tegel X is released!